We can help you manage your finances, so you’re free to pursue your dreams. Using the McCain & Associates of Ohio plan, we’ll examine your current financial situation and determine your retirement needs. Read Erica L. McCain's latest book! 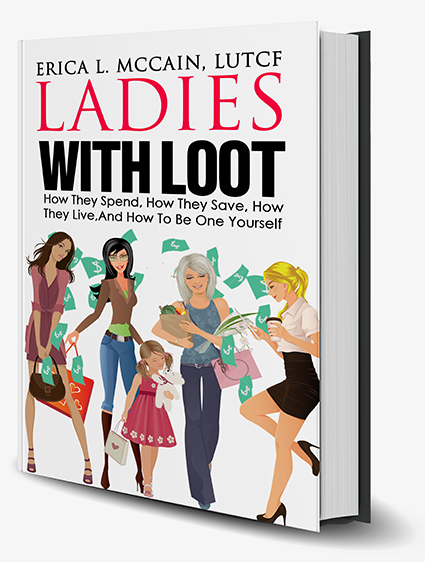 "Ladies with Loot: How They Spend, How They Save, How They Live, and How to Be One Yourself"
Financial advisor Erica L. McCain, LUTCF, offers a step-by-step guide for people interested in being among those women who know how to make their money work for them and aren’t saddled with debt. Plus, she shares stories of her own financial mistakes, so you can learn from her — and work toward a solid retirement of your own. Fill out the form below to schedule your one-on-one meeting with McCain & Associates of Ohio, LLC. During this meeting, we’ll aim to get to know who you are and what you want out of retirement.